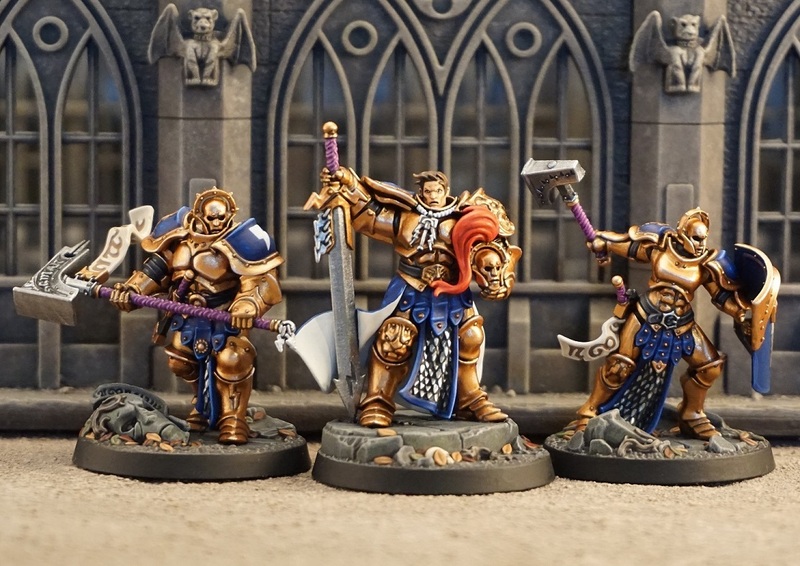 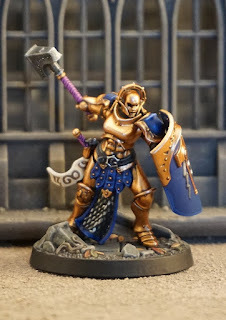 I like these a little bit better than the Stormcast Eternals. 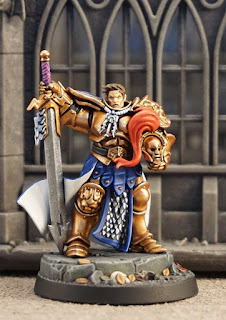 Painting skin and leather is more to my liking than painting (golden) armour. 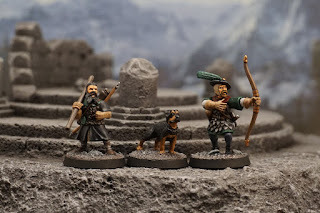 Its also a fun faction to play. Rooting for your men to die so you can flip the cards of the remaining is great. The sculpting and the sprue quality is as always amazing. 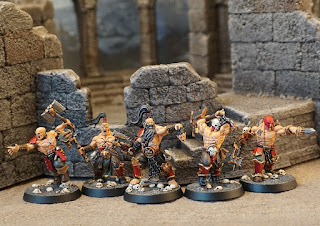 The gap on Garrek's shoulder pad is a nightmare though. 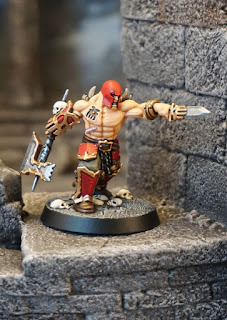 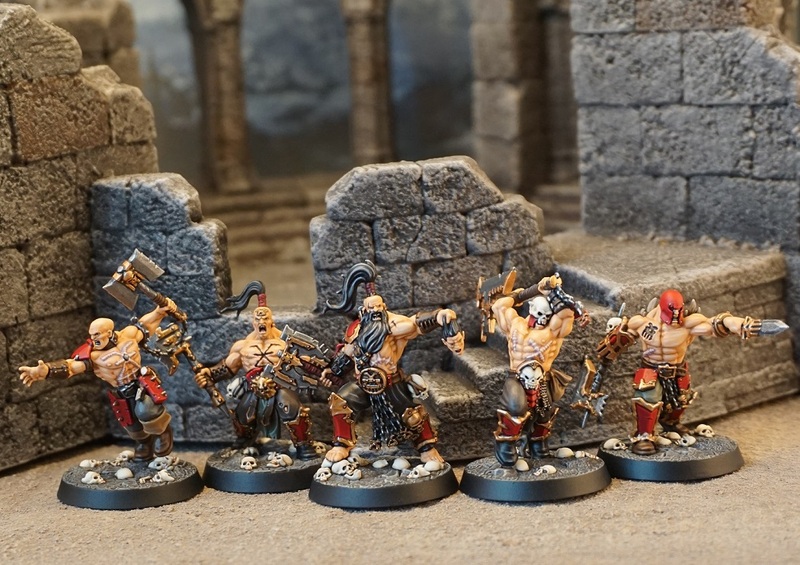 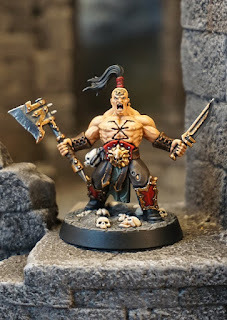 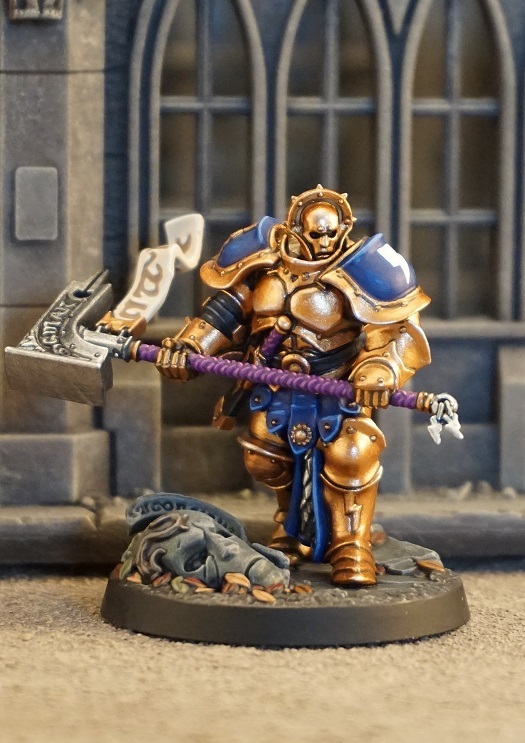 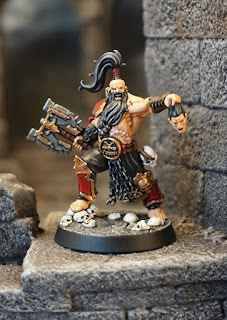 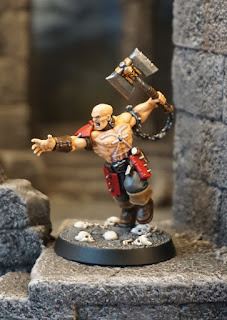 I painted up my Shadespire minis. 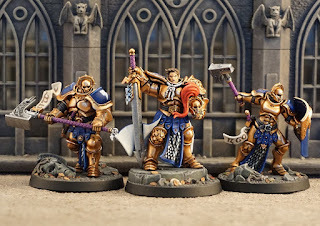 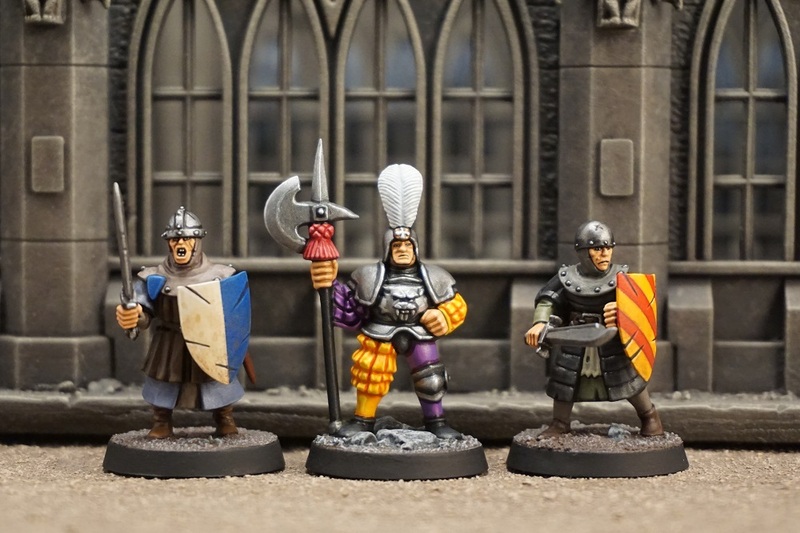 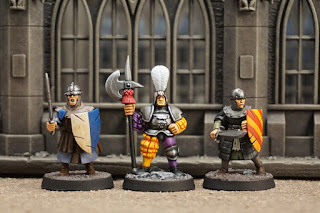 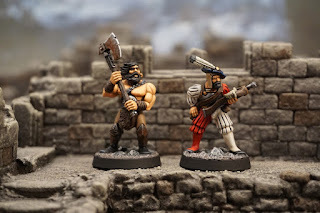 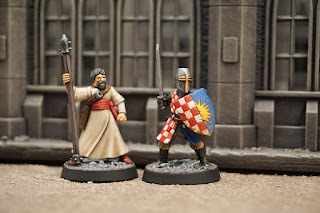 Good looking miniatures except the gaps on the shoulder pads. 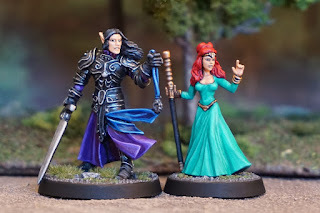 Here are some random fantasy miniatures. 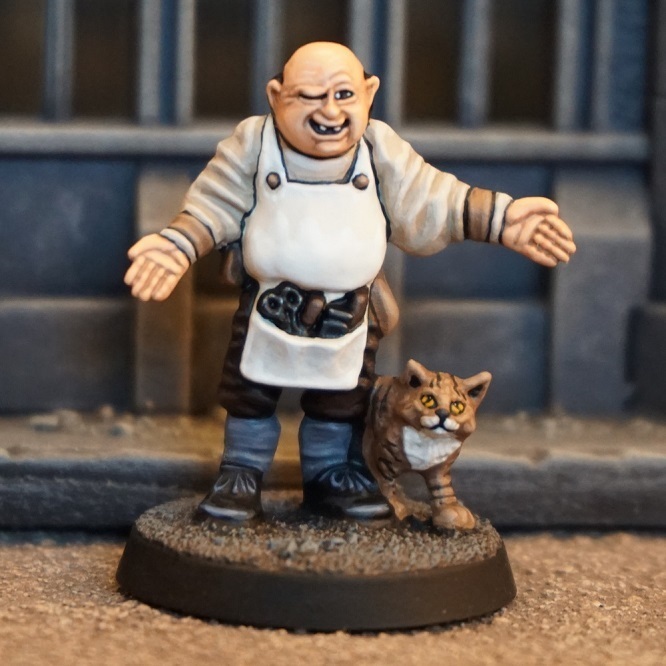 The ugly shopkeeper is an old Legend of Zagor mini that I rescued from the dumpster. I love this guy. 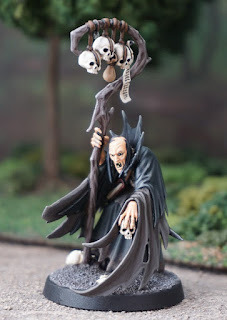 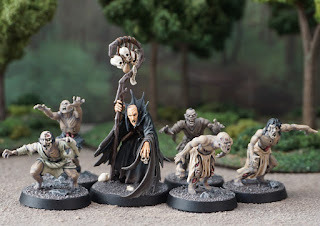 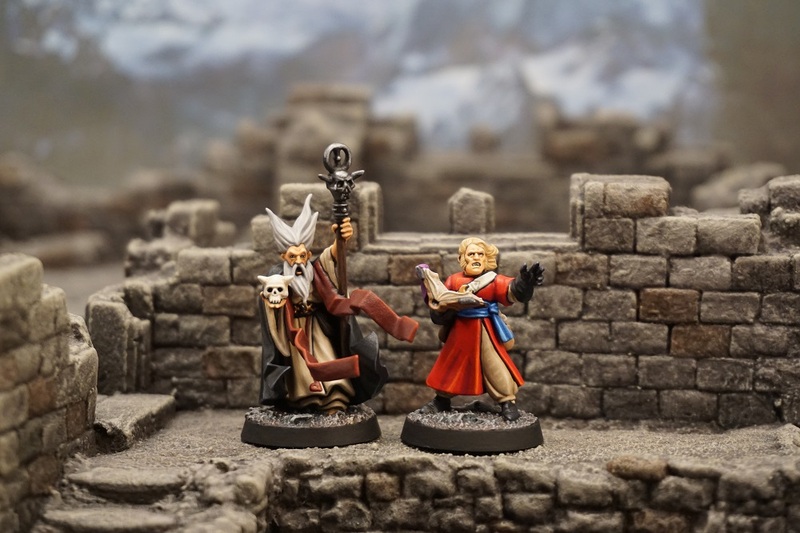 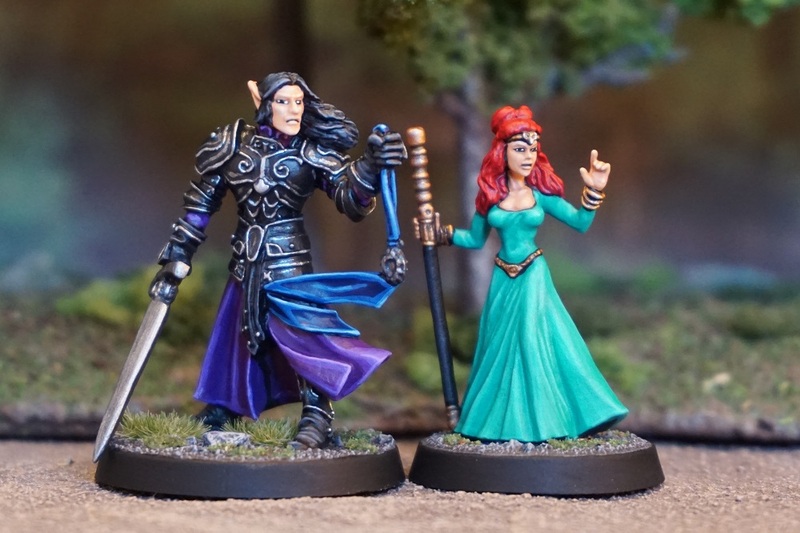 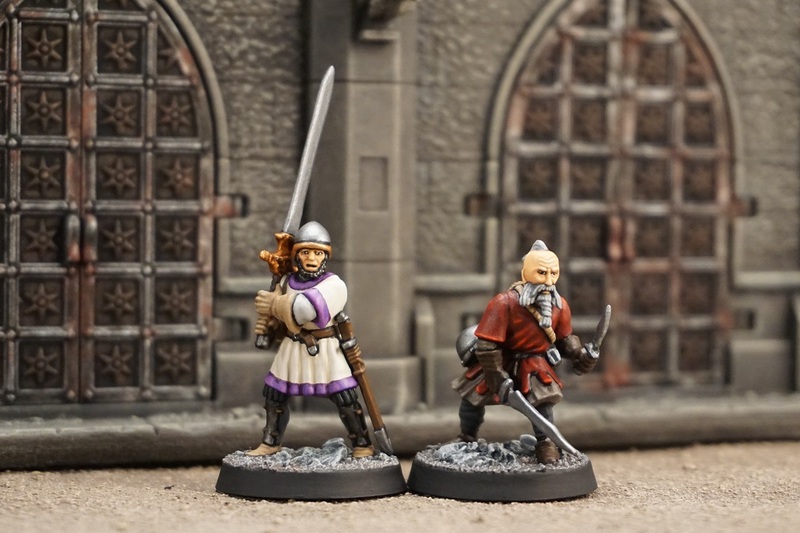 The female wizard is a Reaper mini and the elf prince was made by Warcrow. 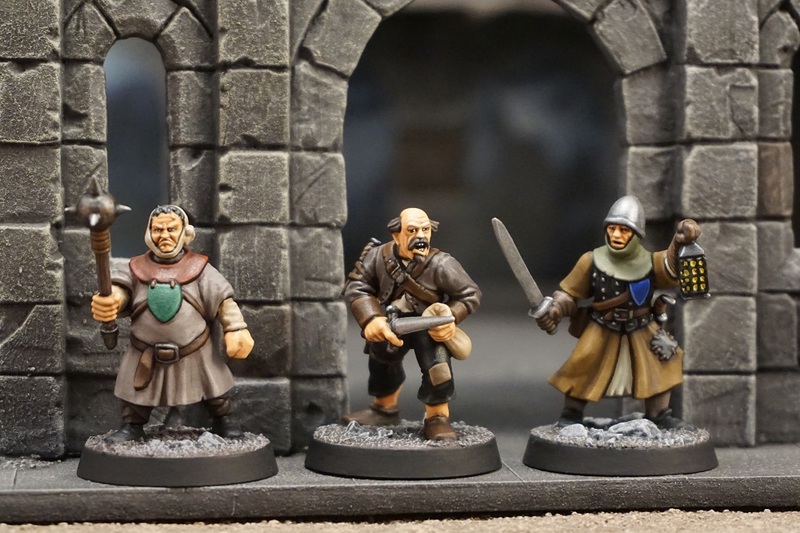 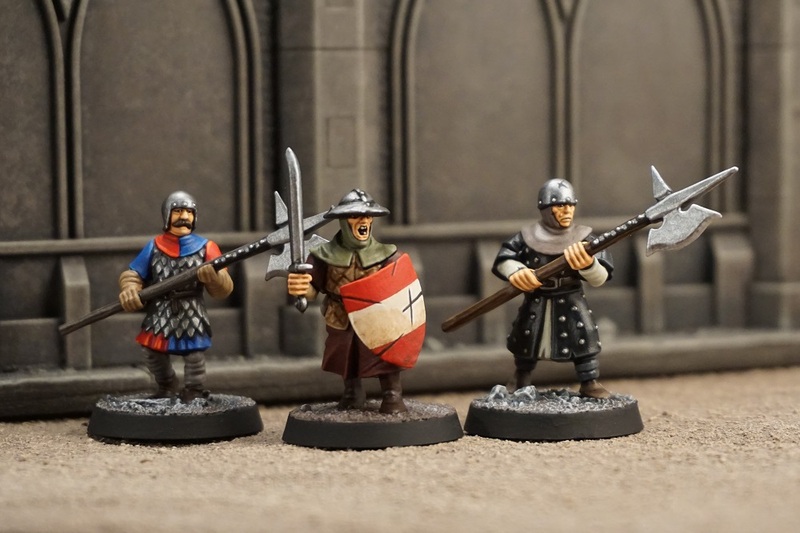 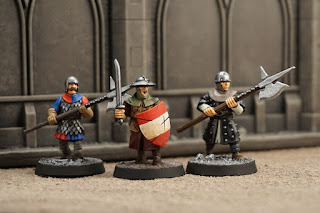 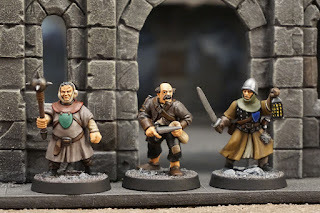 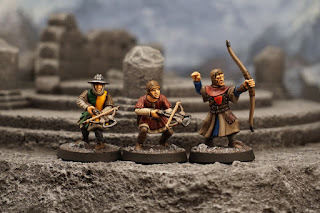 I added some minis to my bandits. 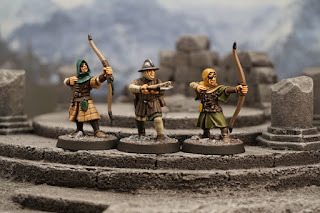 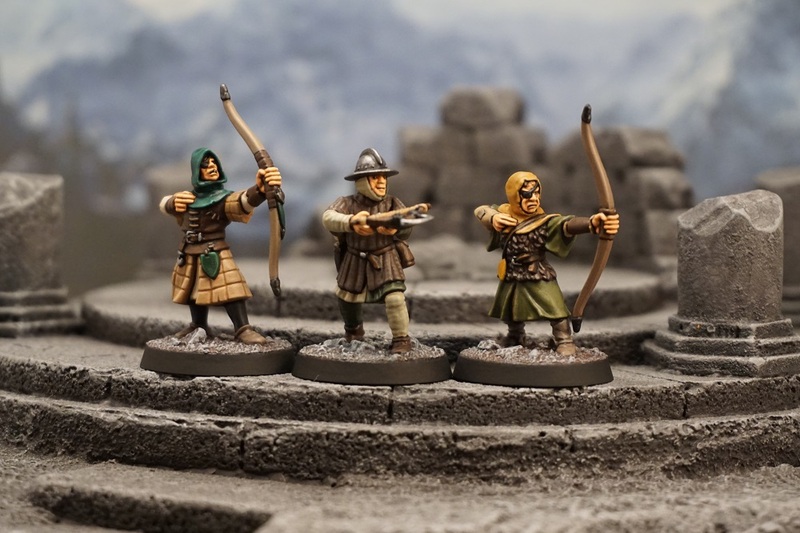 A Reaper Miniatures bandit captain, a Otherworld female barbarian and two old GW bretonians as youngsters. 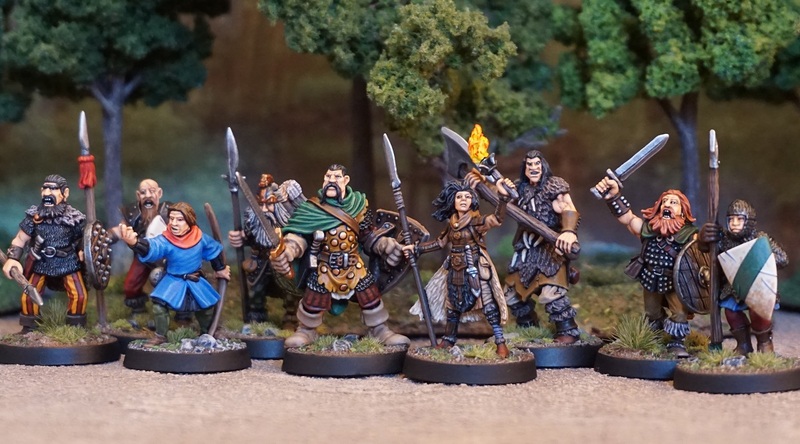 A merry bunch it tuned out to be. 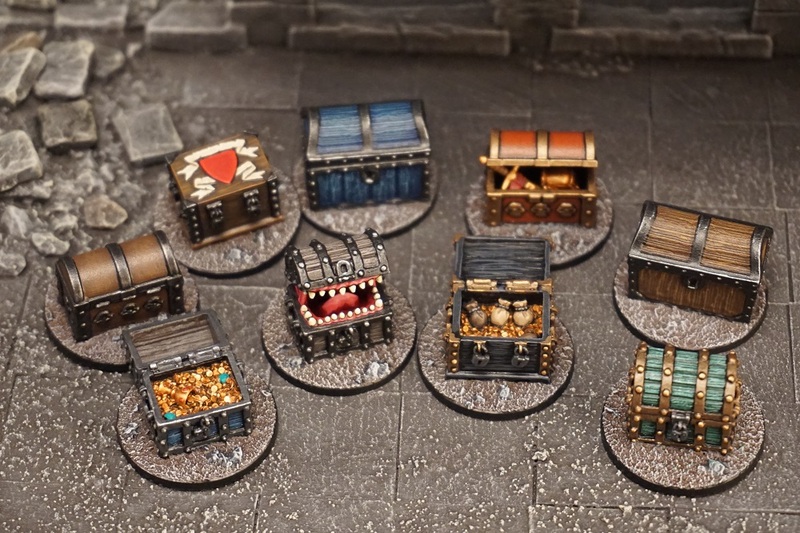 The treasure tokens for Frostgrave are finished. Its a mix of Games Workshop, Mantic and Tiny Tales treasure chests. 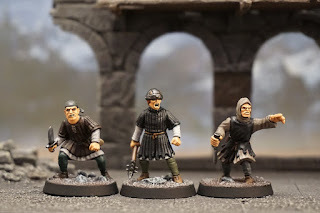 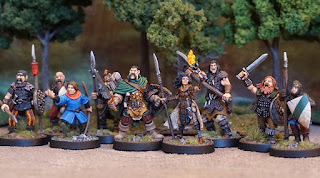 I finally finished my own Frostgrave Warband. 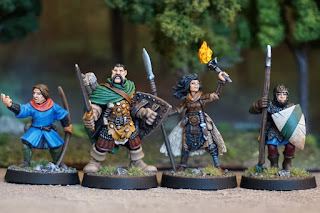 This motley crew consist of Games Workshop and Fireforge minis. 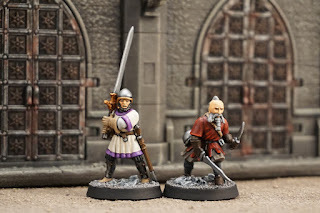 Here and there some North Star bits. 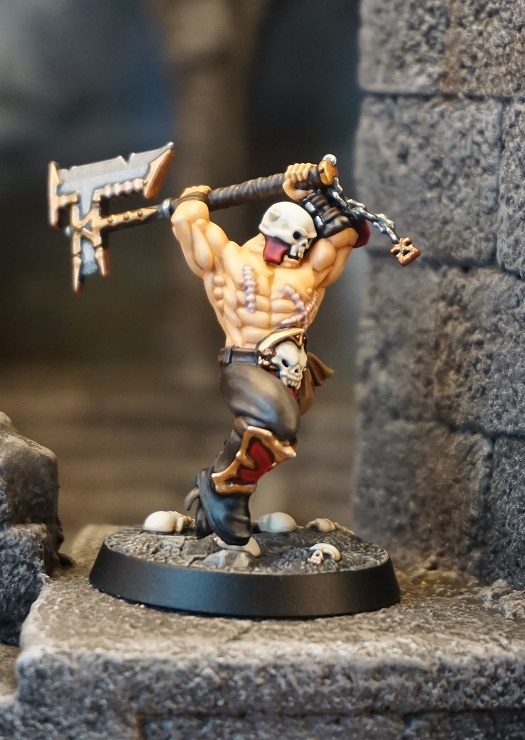 Oh, and the Warhound is from Bombshell Miniatures and is the only metal mini in my Warband.